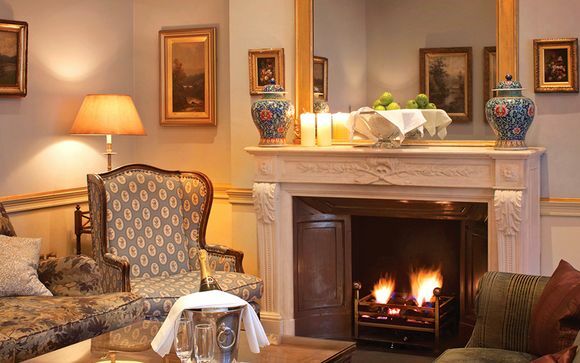 Occupying 3 elegantly restored 19th century townhouses, this hotel is just minutes away from Hyde Park. This tranquil, refined hotel offers easy access to many of London's top attractions such as Kensington Palace, The Royal Albert Hall and Portobello Road. Step into a bygone era with rooms that feature period furniture and original oil paintings. Handmade beds with silk details and limestone bathrooms create an atmosphere of exclusivity. You have not yet found your dream getaway from our holiday deals? Discover our year-round selection of high-end accommodation at public prices from our hotel partners. The Permanent Collection is a selection of the best high-end properties: luxury hotels, chic boutique hotels and elegant villas ... If you book accommodation through our Permanent Collection, you will receive a voucher for 5% of the total booking amount, to be redeemed on your next Voyage Privé booking. And to make your stay even more enjoyable, we have negotiated two exclusive perks. Paddington may be widely known for its famous railway station (and its sweeping iron arches are certainly not a sight to be missed) but there is so much more to this area of London than Brunel's impressive masterpiece. This is also the spot to find chic shops, bustling markets & cosy corner cafes dotted throughout its Georgian streets. And that is only some of its charm, it also benefits from a excellent location bordering Hyde Park, 145 hectares of landscaped open space which is home to pretty gardens, a regal royal palace, thought-provoking monuments & many hidden gems. 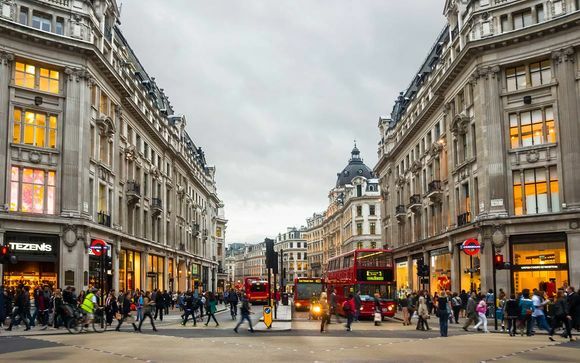 Beyond that is the shopping maelstorm which is Oxford Street where you will find all manor of high-end shops. Meanwhile to the west is the eclectic market of Portobello Road, one of the most famous street markets in the world which features numerous stalls offering everything from fruit and bread to posters, clothes, ceramics and music. The Royal Park is a central London boutique hotel, and is a haven of elegance amidst the hustle and bustle of central London. The tranquil and refined interiors feature period furniture and original artwork, and handmade beds with silk linen. 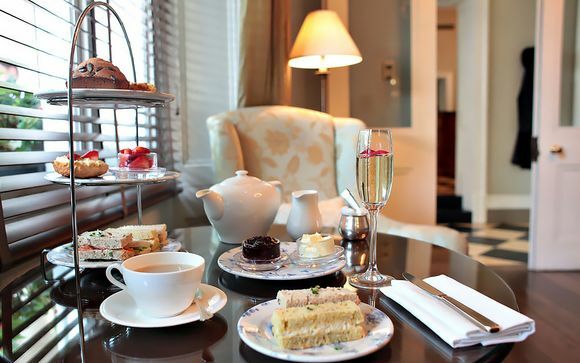 Admire views over leafy Westbourne Terrace or the historic buildings of the area as you breakfast, or indulge in an Afternoon Tea in the comfortable Blue Room lounge. Located just a few minute's walk away from Hyde Park, your hotel is within easy reach of attractions such as Kensington Palace, The Royal Albert Hall, Oxford Street, Park Lane, High Street Kensington and Portobello Road. Treat yourself to the luxury at this carefully restored, mid 19th-century Grade II listed townhouse, made even more inviting by handmade beds swathed in 100% Irish cotton, luxury bathroom amenities & antique furnishings. - Classic Room (20m² / max. 2 persons): These welcoming rooms feature original sash windows that look out over the roof tops of London, while your handmade Queen bed, mahogany antique desk & relaxing easy chair creates a cosy atmosphere. - Executive Room (23m² / max. 2 persons): With views over leafy Westbourne Terrace, London rooftops or the hotel's garden, this larger room features a king sized bed just waiting for you to sink into. - Four Poster Suite (30m² / max. 2 persons): Revel in your elegantly designed four poster room whose separate sitting room & original period oil paintings help to create an inviting space. - Deluxe Four Poster Suite (37m² / max. 2 persons): Step into bygone era with this regally adorned room whose sitting room overlooks Westbourne Terrace & whose bedroom has a handmade four poster bed with silk ceiling and valences as well as oversized gold-gilded mirror. The elegant dining room is relaxed and informal and serves an eclectic all day menu of traditional comfort food balanced with lighter healthier options. Open for breakfast, lunch, afternoon tea and dinner every day, you can always be assured of a warm welcome. The menu is available throughout he hotel so you can enjoy your food in the restaurant, in comfortable chairs in the Blue Room or al fresco in the garden. Taking a modern twist on the traditional afternoon tea concept, the Royal Park offers a Traditional, Chocolate or Christmas Afternoon Tea. Indulge in freshly baked and homemade scones served with lashings of Devonshire clotted cream and jam, as well as a wide variety of afternoon tea pastries. Each can be served with Brut Baron de Marck champagne and speciality loose leaf tea. Your hotel is approximately 4min / 0.2miles from Paddington station which is on the Bakerloo, Circle, District & Hammersmith & City Lines or 4min / 0.2miles from Lancaster Gate station which is on the Central Line. From these stations you will have direct access to Oxford Street, St Paul's Cathedral & Westfields Shopping Centre (via the Central Line) & The Houses of Parliament, Tower of London & South Bank (via the Circle & District Lines). Your hotel is not in the congestion zone, however if you were to drive to the East of Hyde Park you will be charged a daily fee of £11.50 while travelling between 7am - 6pm Monday - Friday. This hotel features a car park (a rare thing in a central London hotel) so guests who are travelling to the hotel via car can use this secure car park for an additional fee.